Jubilation is a design that says it all with the letterforms. This style is the type you send out when you want to shout out your joy from the mountain tops. It says joy and elegance all within the brushstrokes of the letters. This graceful letter style has a rough edged, hand lettered dry-brush look. 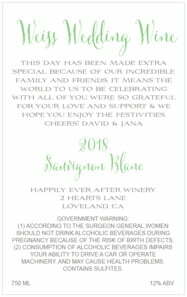 Every word and every line is on a curve and an angle; every line is a different size and length, plenty of swashes and swirls bring lighthearted joy. Add a special trim edge like the scallop to create extra style. 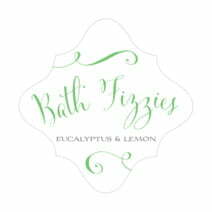 Customize your Jubilation bath and body labels for all your business products including soap, lotion, perfume and more. 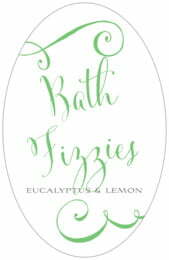 Jubilation bath and body labels are printed on your choice of coated paper or waterproof vinyl. The colors on these labels are lusciously rich and images are sharp. They are very easy to apply. In the case of the vinyl labels option, they are also very easy to remove, and the square vinyl label shapes are even re-usable if applied to glass or metal. Just peel them off starting at a corner and pull slowly then save them for another time by putting them back on their carrier sheet. Evermine bath and body labels come in many different shapes and sizes, so they are perfect for many different types of products and containers. 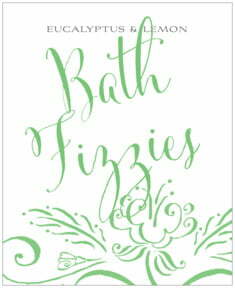 Choose from our wide assortment of shapes above to start personalizing your Jubilation bath and body labels.